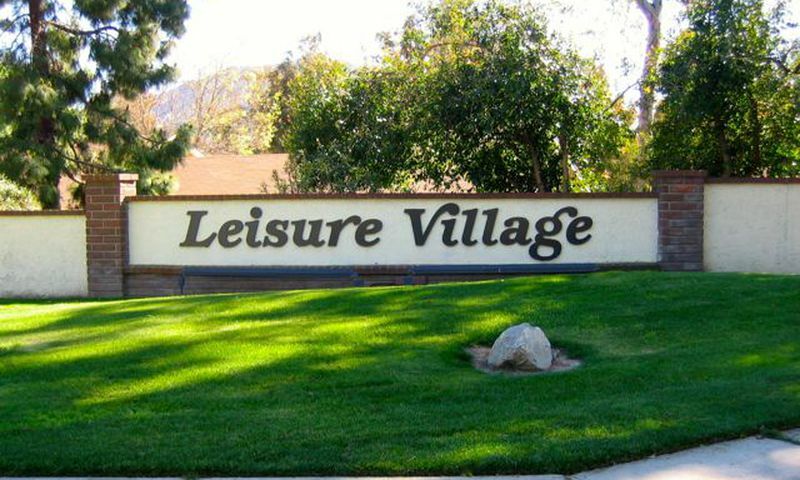 Leisure Village is a guard-gated 55+ community in beautiful Camarillo, California. With a mild climate, delightful ocean breezes, welcoming neighbors, social activities, and low-maintenance homes, Leisure Village is the perfect place to call home. There are over 60 clubs, organizations, and activities for residents to enjoy. World-class amenities including golf, swimming, a library, ballroom, and workshops allow residents to keep physically and socially active. In addition to all of the wonderful amenities and activities offered within the community, Leisure Village is an hour's drive to Los Angeles and Santa Barbara. Leisure Village is comprised of a wide assortment of world-class amenities that cater to the needs of today's active adults. There is an abundance of indoor and outdoor amenities sure to meet the needs of almost any homebuyer. Inside the welcoming clubhouse residents can play table-tennis, a game of cards or billiards, enjoy a book or crossword puzzle in the library or get creative in the ceramic, arts and crafts, sewing, woodworking or lapidary studios. There are several meeting rooms perfect for club meetings, events or smaller get-togethers. In addition residents can take full advantage of the the full-sized ballroom and stage with a catering kitchen. Outside, residents can challenge a neighbor to a game on the horseshoe pits, tennis, paddle tennis, bocce ball, or shuffleboard courts. Residents love to relax in the California sun in the heated outdoor pool and jacuzzi or perfect their game on the 18-hole golf course. Residents can take a romantic stroll on the walking and biking trails throughout the community or relish the serene surrounding in the gazebo. There is even an on-site radio and TV station. Leisure Village is comprised of 2,136 residences that were built from 1973 to 1984. Most homes are duplexes, triplexes, and quads, although there are some single-family homes as well. There are 25 different models to choose from that range in size from 672 to 1,829 square feet. Each ranch-style home features one to two bedrooms and one or two bathrooms. Most homes have a one or two-car garage but some smaller models have a designated carport. The monthly association fee covers the operation of the clubhouse and its facilities, 24-hour security, water, trash pickup, cable TV system, sewer, landscaping and exterior maintenance of your home and common areas. These low-maintenance homes provide residents with more time to participate in the social and active lifestyle they desire. Leisure Village is a 55+ active adult community where residents have ample leisure time to enjoy living life to the fullest. This is an ideal setting for active adults who want to live in a thriving community with many social opportunities. With more than 60 social clubs, residents are bound to find one or more that appeals to their interests. Leisure Village understands the importance of a healthy body and mind. There are religious, political and educational classes, which include exciting topics such as foreign policy, conversational Hebrew, diabetes class, and computer club. The arts and craft minded people can enjoy art classes, ceramic mold decorating, quilters club, camera club and woodshop. There are games and fitness clubs that include bridge, chess, bowling, Zumba, Yoga, and country western dancing. This friendly atmosphere allows residents to meet new friends and live out their active lifestyles. Leisure Village is nestled between the Pacific Ocean and the beautiful rolling hills of the Conejo Valley in Camarillo, California. The region boasts one of the finest climates in the country with an average yearly temperature of 61 degrees. It is conveniently located midway between Los Angeles and Santa Barbara. Travel is made easy with Route 101 and the Los Angeles International Airport (LAX) and Burbank Airport (BUR) approximately 60 miles away. There are plenty of activities available in Leisure Village. Here is a sample of some of the clubs, activities and classes offered here. Leisure Village is comprised of 2,136 residences that were built from 1973 to 1984. Most homes are duplexes, triplexes, and quads, although there are some single-family homes as well. There are 25 different models to choose from that range in size from 672 to 1,829 square feet. Each ranch-style home features one to three bedrooms and one to two bathrooms. Most homes have a one or two-car garage but some smaller models have a designated carport. The monthly association fee covers the operation of the clubhouse and its facilities, 24-hour security, water, trash pickup, cable TV system, sewer, landscaping and exterior maintenance of your home and common areas. These low-maintenance homes provide residents with more time to participate in the social and active lifestyle they desire. Note: Not all floor plans are available at this time. Great location about an hour from LA so it's easy for the kids to come visit or meet somewhere in the middle. It's a friendly and casual neighborhood. It's not all that fancy but it does have everything we wanted like the golf course, pools, gym and all sorts of activities. Joe spends a lot of time at the woodworking shop and having the RV storage available on-site is convenient. The weather here can't be beat! 55places.com is not affiliated with the developer(s) or homeowners association of Leisure Village. The information you submit is distributed to a 55places.com Partner Agent, who is a licensed real estate agent. The information regarding Leisure Village has not been verified or approved by the developer or homeowners association. Please verify all information prior to purchasing. 55places.com is not responsible for any errors regarding the information displayed on this website.